We had a good time at the August group meeting / picnic, turnout was fantastic, lots of good food and enjoying each other’s company in a more relaxed fashion, Thank you to Wednesday Smith and Kathy Caldwell for hosting and of course Kathy brought her potato salad. The Group also enjoyed ribs cooked at home by Dennis and finished off on the BBQ by Dominic plus hot dogs and lots of sides. 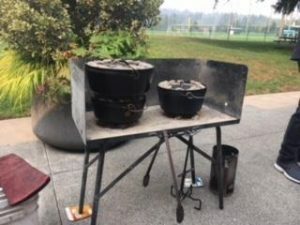 The cast iron dutch oven cooking by Ron Brown and Jeff Kobylk was really cool to see, they made brownies, bread and moose meat lasagna. Those who were in attendance were. 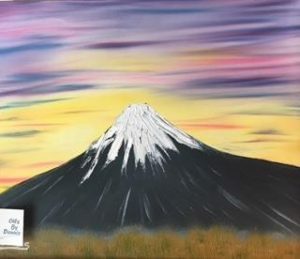 Wednesday Smith, Ron Brown, Linda Pfeiffer, Linda McMurphy, Dale Baxmann, Jeff Kobylk, Mick Holte, Chic Nessley, Larry Holmes, Debbie Crooks, Kathy Caldwell, Scott Hemingway, Bill Bruce, Bob Eastwood, Ron King, Dominic McLaughlin, Casey Parks, Heidi Hiatt, Katarina Hirai, Feliz Sanchez, Stephanie Taley, Tim Cantwell, Steve Deem, and Carla Snyder. It was good to see everyone and I apologize if I missed anyone or misspelled your name. We talked about a couple changes in the meeting calendar, the September 19th meeting location has been changed to West Sound Utility District, 2924 SE Lund Ave Port Orchard, and the December planning meeting location and date has changed, we will meet on December 12th one week earlier, and the location will be at North Shore Utility District, 6830 NE 185th ST, Kenmore, both meetings will start at the normal time 10:00 am to Noon. Please plan to attend the planning meeting we need your help with ideas for topics to discuss and meeting locations. Treasurer Dennis reported we have a balance of 26, 302.00 in the account. 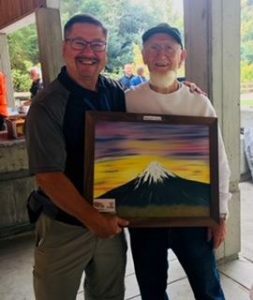 Dennis then made a presentation to Bob Eastwood who is retiring on August 17th after 35 years; Bob is also one of the founding fathers of the Backflow Group which began in 1992. The Group presented Bob with a plaque and cards signed by the members who were in attendance. It was fun to listen to a few stories about the beginning days of the Group and hear names from the past when the Group was new and just staring out. We come along way and Bob has played a huge part in our growth. 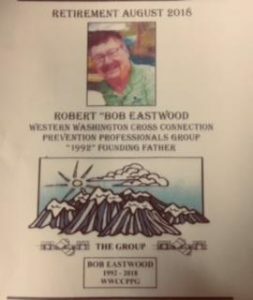 Bob also mentioned he has one more goal yet to serve with us, to be a CEU stamper at the annual October Seminar. We may be able to help him with this wish! We wish Bob all the best and much happiness in his retirement; we will surely miss you Bob! November is the Annual business meeting when we hold elections for the Group’s Board positions. We are seeking nominees for Vice Chair, Secretary and Treasurer for 2019. If you are interested in serving on the Board or know of anyone who would like to join, please send nominations to any of the Board members on the title page. It’s really a lot of fun! Earlier this year an article and picture was posted showing a Backflow Direct Derringer 20X Double Check Valve that had a slightly altered identification tag. 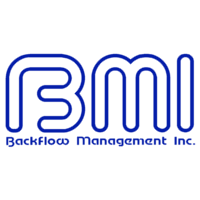 As the National Sales Manager for Backflow Direct, I would like to take this opportunity to provide some information on this situation and show that this issue has been resolved. 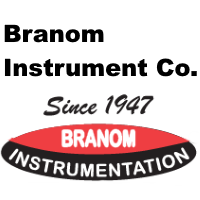 Our company takes great pride in the products we create and provide to the contractors that install them. The design team that created the Deringer product line has almost 30 years of backflow design and manufacturing experience and have been personally responsible for many of the innovations that have lead to shorter, lighter, and more economical backflow prevention products. Keeping accurate records through detailed reporting is crucial within an established cross connection control program to make sure every assembly within the system is tested and accounted for. At the end of the day, we, like everyone else want to keep our loved ones safe from contaminated drinking water. Our Deringer product line utilizes a laser marking machine to engrave our identification plate that provides information such as type, size, model, manufacturer, serial number, etc. for identification and reporting purposes. 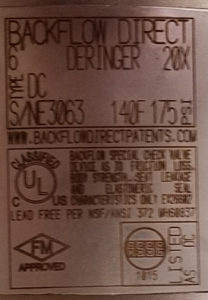 When the Deringer 20X DC in the previous article was installed and inspected, we were contacted by the local water authority to make us aware that the label had been mis-marked as a “DCDA” when the valve was built as a “DC”. To help save time and costs for the contractor and water purveyor we created a new label with all of the exact information from the previous label with the exception of the type of backflow preventer being changed to a “DC”. Below is a photo of the new label that has been installed on the existing valve. This new label will allow for proper reporting without having to change any information in regard to serial number, manufacturer, model or approval information. We sincerely appreciate all of the support the state of Washington’s backflow community has shown our product. 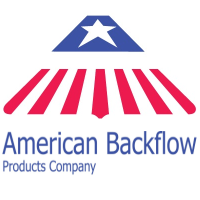 Please feel free to contact us anytime with questions by phone at (916) 760-4524 or by email at info@backflowdirect.com. 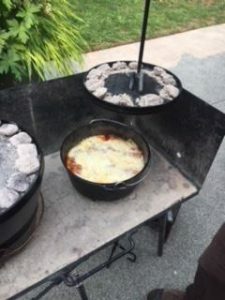 The Dutch ovens, Jeff’s moose lasagna and Ron’s brownies and bread, it was all so good! 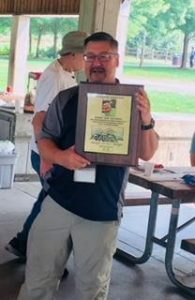 The plaque presented to Bob Eastwood, Best of luck to you Bob! We will miss you!